Siddig El Tahir El Fadil El Siddig Abderrahman Mohammed Ahmed Abdel Karim El Mahdi (Arabic: صدّيق الطاهر الفاضل الصدّيق عبدالرحمن محمد أحمد عبدالكريم المهدي‎ Ṣiddīq aṭ-Ṭāhir al-Fāḍil aṣ-Ṣiddīq ʿAbd ar-Raḥman Muḥammad ʾAḥmad ʿAbd al-Karīm al-Mahdī; born 21 November 1965) is an English actor. Siddig was born in Sudan, but has spent most of his life in England. He was born to an English mother who worked as a theatrical consultant and a Sudanese father. His maternal uncle is English actor Malcolm McDowell, with whom he appeared in 2008 in Neil Marshall's Doomsday, and his paternal uncle is the former Sudanese Prime Minister Sadiq al-Mahdi. He is a great-great-great-grandson of Sudanese leader Muhammad Ahmad. He attended St Lawrence College, Ramsgate, Kent. Western culture required a surname, so El Fadil was taken from Sid's grandfather and was adopted as his surname when he moved back to England. He was credited under the shortened name Siddig El Fadil until October 1995. Three seasons into his run on Star Trek: Deep Space Nine, he changed his stage name to Alexander Siddig (stating he chose Alexander to honor his English heritage from his mother's side, and because he felt the name came without religious implications). Siddig attended the London Academy of Music and Dramatic Art (LAMDA) to study acting and, after leaving LAMDA, did a season of stage work in Manchester. He also worked as a director in a small theatre in London. Siddig first appeared to television audiences as Prince Feisal in A Dangerous Man: Lawrence After Arabia, the 1990 TV sequel to Lawrence of Arabia. Siddig's performance in A Dangerous Man: Lawrence After Arabia (1992) brought him to the attention of Rick Berman, who was creating the new series Star Trek: Deep Space Nine (1993). Although he originally auditioned for the role of Commander Benjamin Sisko, Berman decided Siddig was too young for the role and cast him as Dr. Julian Bashir instead. The part had to be slightly rewritten for Siddig as the original "bible" had called for a Hispanic male named Julian Amoros to play the part, although Berman reports that no other actors were considered for the role. After Star Trek: Deep Space Nine finished, Siddig appeared as an Algerian secret agent on the trail of Islamists in the controversial episode "Nest of Angels" of the British television show Spooks (known as MI-5 in the US) in 2003. In 2005, he appeared as Saladin's aide, Imad, in Ridley Scott's film Kingdom of Heaven. He gave a critically lauded performance as Prince Nasir in Syriana, alongside George Clooney and Matt Damon. He played the title role in 2006's Hannibal – Rome's Worst Nightmare for the BBC (UK). Early 2007, Siddig joined the cast of Un Homme Perdu (aka A Lost Man) and he returned to American television in the role of former terrorist Hamri Al-Assad for the sixth season of 24. In 2009, he co-starred with Patricia Clarkson in the award-winning film Cairo Time (2009) as Tareq Khalifa, an Egyptian who battles his attraction to his friend's wife. In August 2010, he expressed his doubts about resurrecting his character, Dr. Julian Bashir, from Deep Space Nine, stating that he has "other ambitions". In 2013, Siddig appeared as a Syrian-Canadian in the IFC film Inescapable with Marisa Tomei and Joshua Jackson, and as King Minos in the BBC show Atlantis. In 2015 appeared in HBO series Game of Thrones in season 5 and season 6 as Doran Martell, the ruling Prince of Dorne. 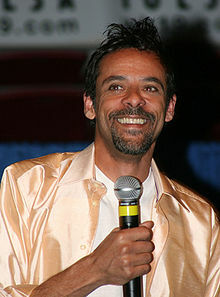 Siddig's roles have often called for him to act out many different accents: he used received pronunciation (Star Trek: Deep Space Nine), Cockney (Reign of Fire), and an Algerian accent (Spooks) among others. He has also given performances in Arabic as the role required (Spooks, Syriana, 24, Inescapable, Un Homme Perdu) as well as French (Un Homme Perdu) Alexander also made a short video about an East Indian man who was infected with HIV for International HIV Fund (AVERT). Siddig met Nana Visitor on the set of Star Trek: Deep Space Nine. In 1996, they began a relationship and they married in June 1997; their son, Django El Tahir El Siddig, was born on 16 September 1996. They later divorced in 2001. 1993 Star Trek: The Next Generation Dr Julian Bashir Episode: "Birthright"
(titled MI-5 in the US and France) Ibhn Khaldun Episode: "Nest of Angels"
2005 Agatha Christie's Poirot Mr. Shaitana Episode: "Cards on the Table"
2008 Merlin Kanan Episode: "The Moment of Truth"
2012 True Love Ismail Episode: "Sandra"
2015 Bar Rescue Himself Episode: "Brokedown Palace"
Bar Rescue (2015) – Guest in season 4 episode "Brokedown Palace"
^ a b Lipton, Michael A. (15 July 1996). "A Family Enterprise". People. United States: Meredith Corporation. Retrieved 5 May 2018. ^ Garcia & Phillips 2008, p. 271. ^ "Alexander Siddig biography". Film Reference Library. TIFF Bell Lightbox: International Federation of Film Archives. Retrieved 13 August 2010. ^ "Siddig: No More Deep Space Nine". Collider.com. 9 August 2010. Archived from the original on 17 August 2010. Retrieved 13 August 2010. ^ Mintzer, Joshua (11 September 2012). "Inescapable: Toronto Review". The Hollywood Reporter. Retrieved 3 March 2013. ^ "BBC One programme information". Retrieved 24 September 2013. ^ StarTrek.com Staff (5 August 2010). "Exclusive Interview with Alexander Siddig". StarTrek.com. United States: CBS Studios Inc. Retrieved 6 May 2018. ^ "Primeval is back on ITV1 – ITV Press Centre". Itv.com. Archived from the original on 11 April 2010. Retrieved 13 August 2010. ^ Friedlander, Whitney (25 July 2014). "'Game of Thrones' Announces New Cast Members". Variety. Retrieved 4 September 2014. ^ "Alexander Siddig on being Bashir, quitting 24, and getting saddle-sore for Ridley Scott". Garcia, Frank; Phillips, Mark (2008). Science Fiction Television Series, 1990-2004 (Illustrated ed.). New York City: McFarland & Company. p. 271. ISBN 978-0786424832. 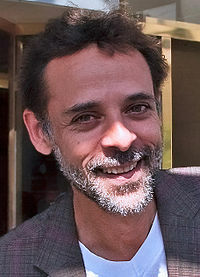 Wikimedia Commons has media related to Alexander Siddig.